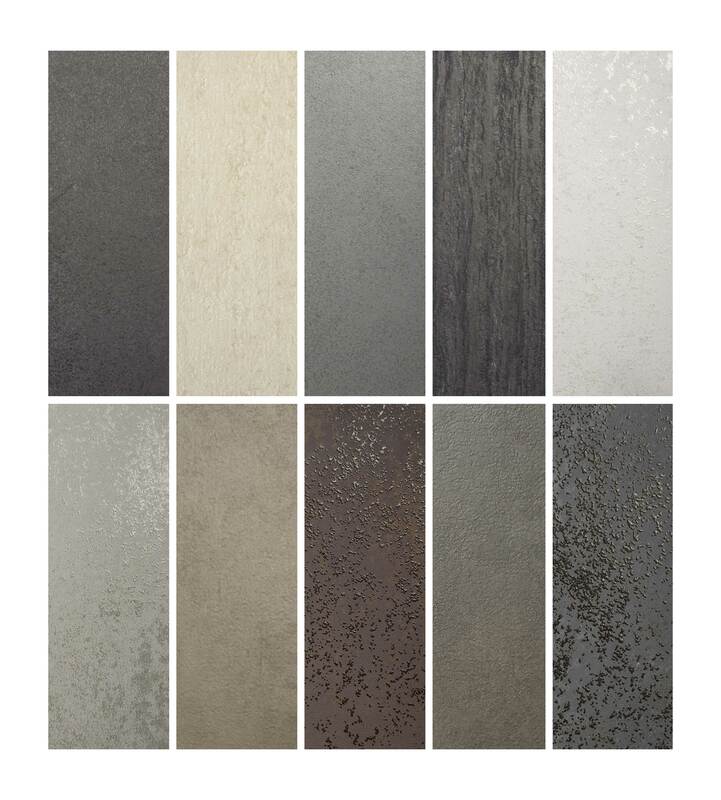 LAMINAM , is a surface of high technological and aesthetic levels with exceptional performance in construction, furniture and interior design. 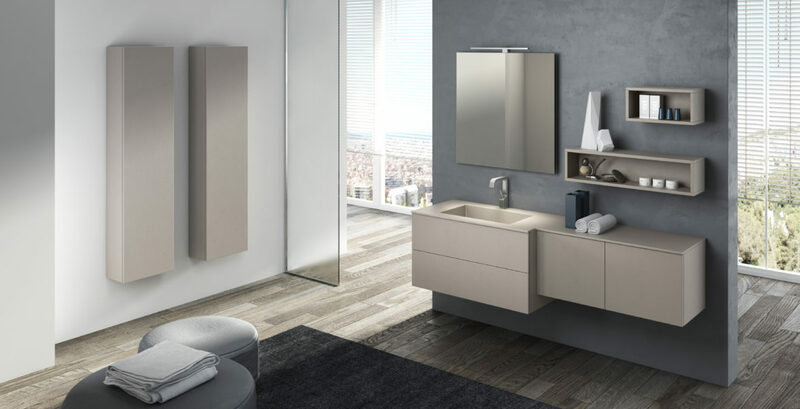 Perfect flatness, high resistance to scratching and wear, inimitable effects that last beyond the floor and wall, you can also opt for bathroom furniture. 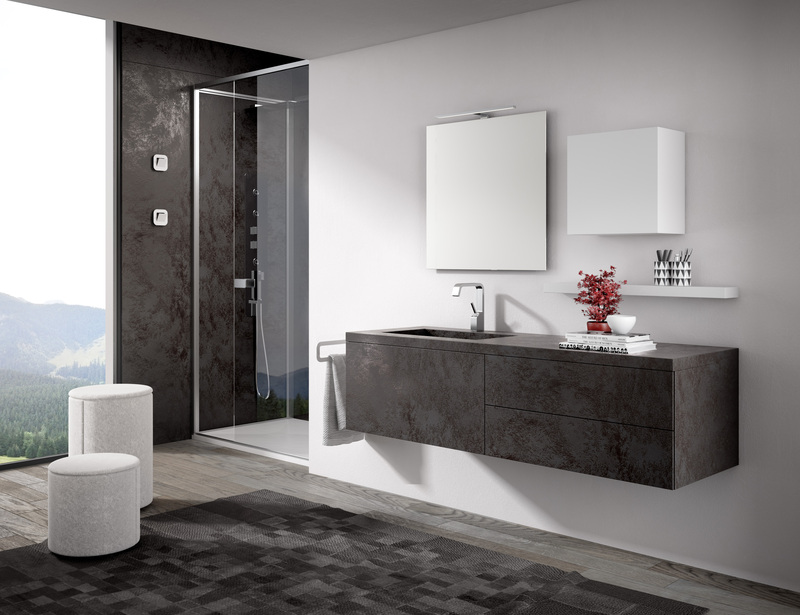 Sink, top and furniture entirely in LAMINAM, with sizes, solutions and finishes that you prefer. 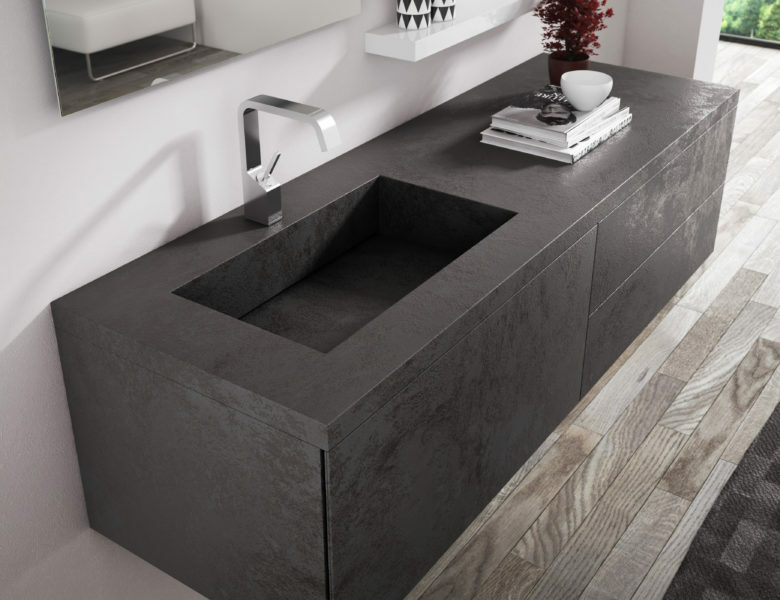 Top view of the top with integrated basin entirely made in LAMINAM. Scratch-resistant surface and antibacterial extremely easy to clean with any product, as chemically resistant. 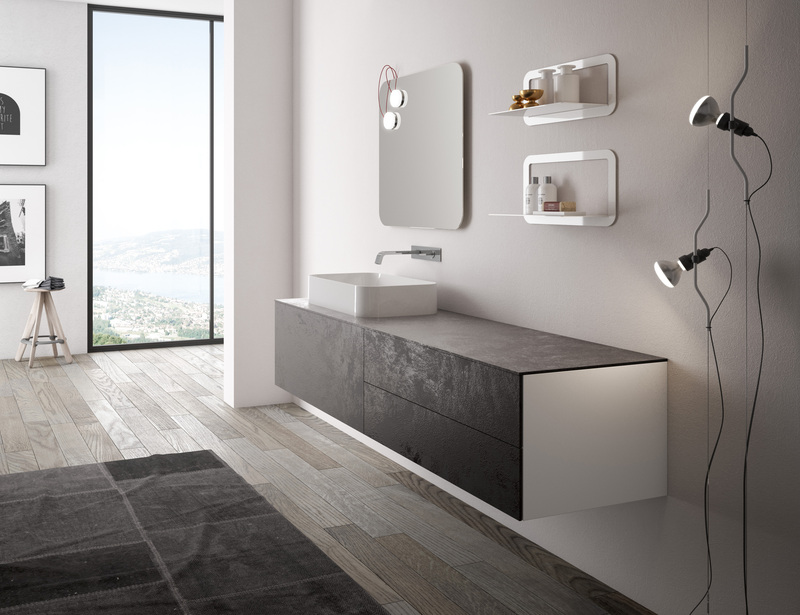 LOUINGE modular furniture with basket and drawers, with opening push - pull system, without handles for extreme minimalist design. LOUNGE furniture lenght 180 cm with SLIM 60 38 ceramic sink leaning on the top. Top, units with big drawer and drawers in LAMINAM porcelain stoneware. Scratch-resistant surface, antibacterial, chemically resistant, easy to clean, coatings normally used for bathroom and kitchen walls, civil and commercial flooring as well as for covering the exterior facades self - washing in prestigious building. 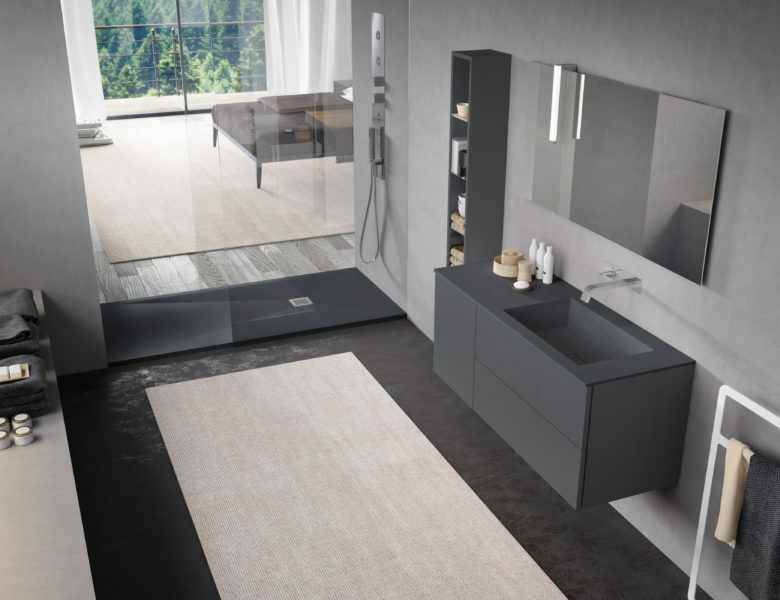 Exclusive how elegant bathroom furniture collection LOUNGE LAM, with top and integrated basin entirely made in LAMINAM color "oxide nero". 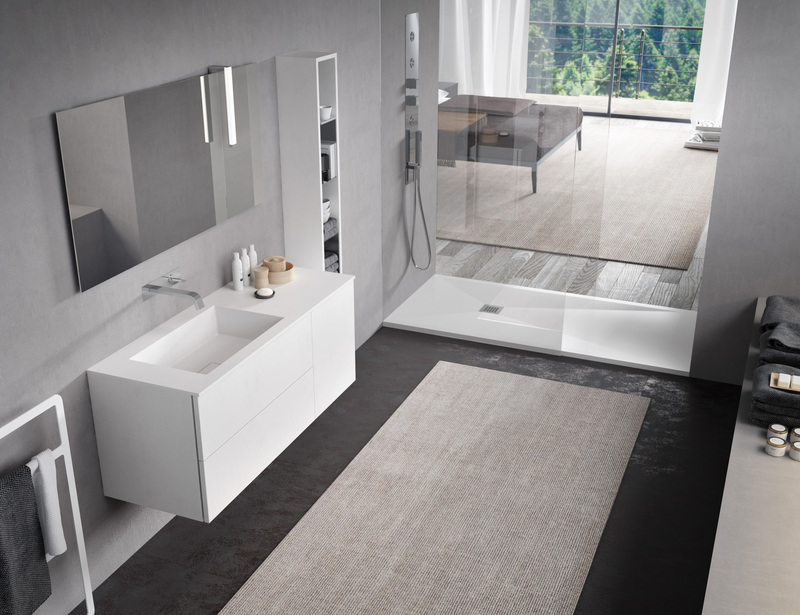 Minimalist lines combined with high-performance materials, virtually eternal. 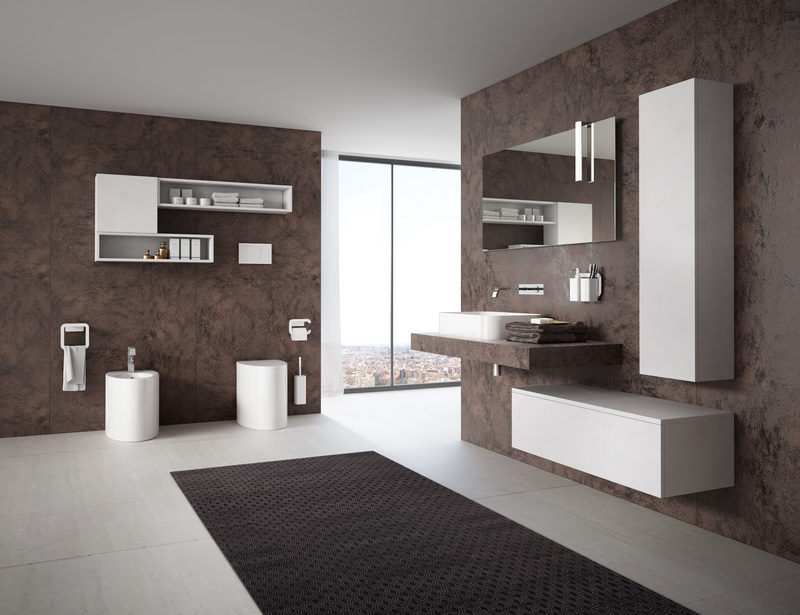 Set of bathroom furniture with sink in "STONE" white color, with textural surface effect orange peel. Modular furniture LOUNGE made with panels of "Plamky" with the same texture effect of the sink. Drawers and doors with push - pull opening system. Shower tray STONE perfectly matched to the sink. 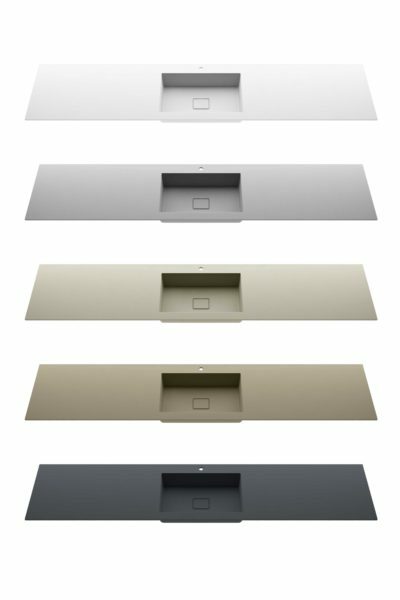 Five are the available colours of the sink STONE with material surface orange peel.